Awesome, just the SQL will be perfect. But I could simply make a list in Excel which channels are in use here, I know all that are available to the whole country. Local channels are a bit difficult; each region has a max of 6 local channels on the cable here. We only have a few providers so it's easy; just iptv is tricky but as far as I know they don't have any additional channels over cable/sattelite/aerial. lol a post above me disappeared? Nevermind, I accidently deleted the post. So are you going with 800x450 as a standard for the logo size or it just what you've put up on http://www.thelogodb.com as a placeholder? The key is size in order to get a nice list; even square logo's I put in a rectangular 800x450 box just to make them fit in with the rest. That's basically what I learned over the years, no matter different styles or versions of logo's; if they get scaled and they're a different size to begin with it gets a mess real quickly. Make that mess even worse if you use logo's from different packs... that's why I love 1 single pack for the Dutch market; there's one source for all. My pack has 210 logo's of about 300 channels available to the market, the main ones I miss are from satellite (planing to do those later) and the local ones of which I can't find a clear list. (2015-06-02, 16:01)komplex Wrote: So are you going with 800x450 as a standard for the logo size or it just what you've put up on http://www.thelogodb.com as a placeholder? I think Woopie has made a pretty good case for the 800x450 dimensions. Maybe a "standard" template; 800x480 with 15 pixels offset on both the top and bottom. 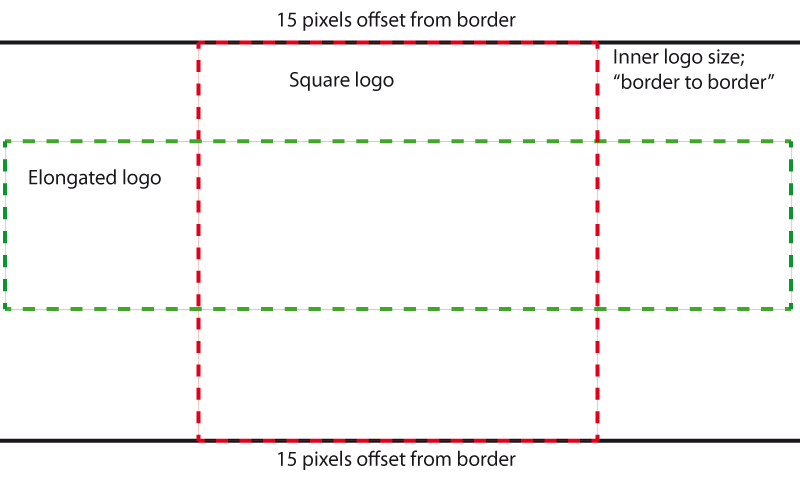 For elongated logo's you get all the space you desperately need versus scaling; for square style logo's you get the offset for the guide view in DVBviewer and the like. Also it's easy to fix/change in my next logo pack, wouldn't cause me to change much, I bet it can be done by script in photoshop. I agree with you. That way we can have a standard in which both variations (square/horizontal) work well. The 800x480 is also a relatively big resolution to allow people to easily manipulate the logos or scale the logos to lower resolutions. Better to scale them to lower resolutions than to have a small image we need to upscale in the future. I've had a look into the dutch packages you mentioned some posts above. The only package (sat in lyngsat) I could find from the three you mention is canaldigitaal. Can you check if the others are there as well or if canaldigitaal has all the channels you made logos for? Some of the missing channels might be part of other packages. hey @mcorcoran figured it may be important to try and bring you in here since your are the lyngstat guy. Thanks to @ragnarokta for being a point of contact. (2015-06-02, 17:11)enen92 Wrote: Can you check if the others are there as well or if canaldigitaal has all the channels you made logos for? I miss half a dozen Canal Digital also has, also Ziggo has some channels which Canal Digital doesn't have and visa versa. The only provider not worth mentioning is Digitenne (DVB-T), it has 40 channels or so none of which are exclusive. The Ziggo one I made is the most complete one, I'll add the Canal Digitaal ones later if you like to my package to get to a total of +/- 250 logo's which covers 99% of the market.